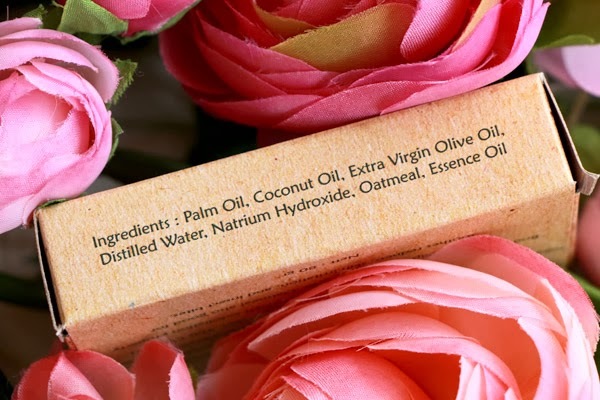 Anyway, I saw this product at Cilla's blog, its a post from a few months back I guess, can't remember the exact time. 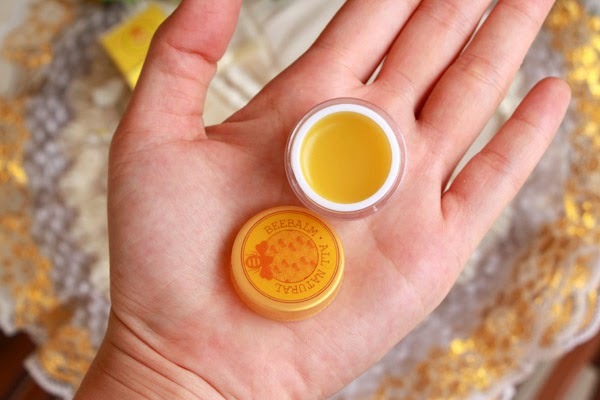 But I saw this local handmade lip balm which is so cute! Like they usually comes in a tiny white jar white no proper brand or anything, but this one looks legit. So I checked out their facebook page and contact them, I asked to try out their lip balm and they kindly said yes! Wihiiii~~ So I'm waiting for it to arrive and when I got it, it's in a very big box since I'm expecting to only recieve a small lip balm, but they sent me a body soap too! So kind laa!! XD At the time I don't know that they have soaps because I only see the Bee Balm Facebook Page, so they have separated facebook page but they all actually together. I asked the owner when & how they started this business. 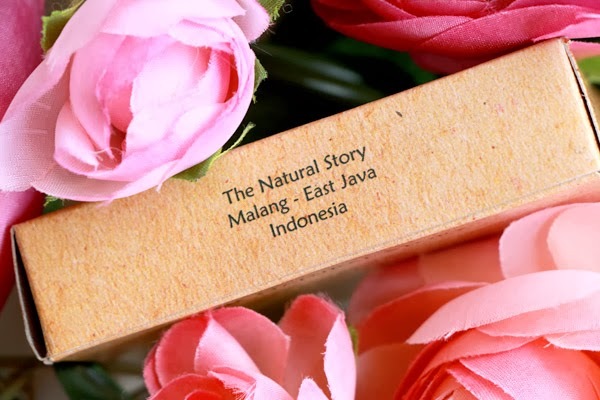 They said that they were just making their own lip balm and soap because their skin is sensitive, but eventually all their friends and family liked their product so they start to make it into a business. 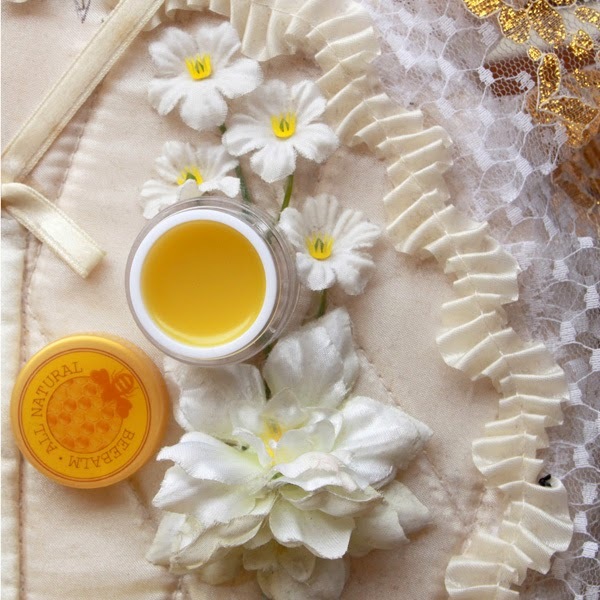 It's all homemade and using natural ingredients so all their product is safe for you who have sensitive skin. And all this happens just last year! Wah, very nice. I somewhat have feeling for local product to support and make them even bigger, more over if they have such a good packaging, brand name, and brand vision. Seems they put they heart out into it to make it the best as they can and also in affordable price. 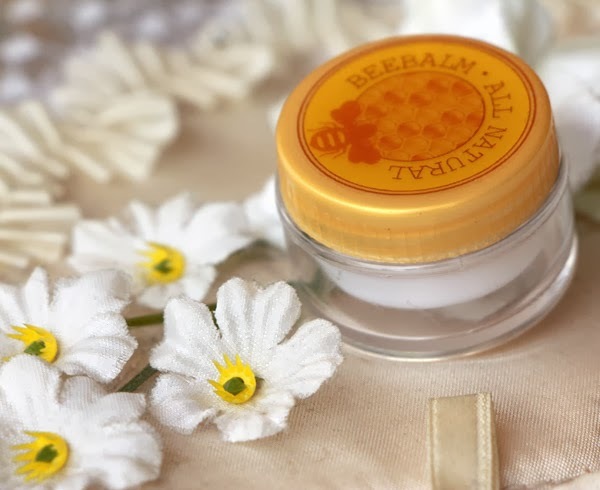 Now let's start with the product I'm so excited to try, Bee Balm! It comes with a box but the box is very fragile and thin so from the outside it looks kinda cheap (although it is). The design is very great though, very informative and cute. From a packaging hoarder view (that's me), I would say if they can make the box a bit thicker it'll be very nice. Although I know why someone should raising the cost if the packaging just got thrown out after the consumer recieve it, but it affects much on the overall image of the product. It has an expiry date which is always good cause I'm most likely just forget everything. But it's on the box so after I throw it out I wouldn't remember a thing! Maybe it's also a good idea to put it on the actual pot. It can be used on dry areas of our body like cuticle, elbow, knee & heels, but I never wear lipbalms for that purpose. Hehe.. So let's just discuss about how it works on my lips! All color looks very nice cause they're still in the honey color family. Imagine it come with the usual white unbranded small pot, I wouldn't want it of course. That's why packaging matters. It looked very small in my big palm -_-". But it's 5 gram so it's a decent amount for lip balms. 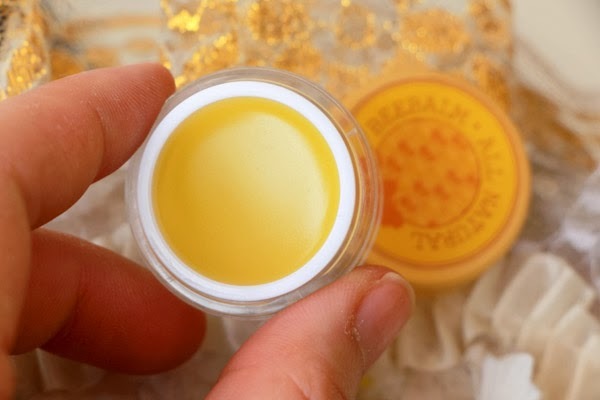 The balm smells sweet, I don't know what kind of sweet it is but its a nice natural sweet scent that's not overpowering. The texture is very similar to Lip on Lip lipbalms, they melt into an oily texture and feels so soft once they touched with skin. 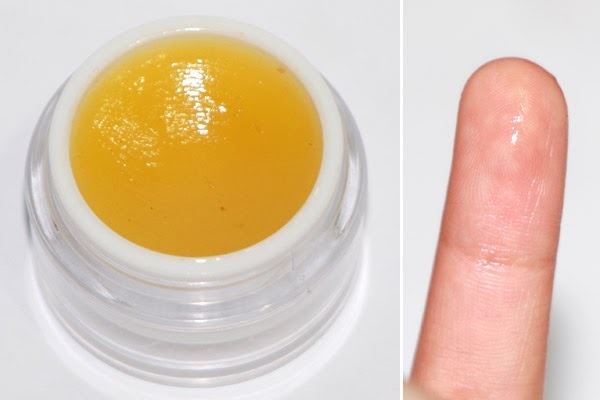 Once they applied they feel more into an oily rather than balm-y. At first it feels like it's just sit on top of my lips but then they sink in after a few minutes. So what I like to do is to massage it into my lips so they can absorbs into it faster. It doesn't last long though, maybe after one hour or so it will dissapear and you might want to re-apply, but if you feel it's enough you don't need to. But I enjoy the appliance so much for the sake of putting something into my face to make it look better. Mehehehehe.. But sadly it's not moisturizing enough for me. When my lips is in normal condition, I could get away with it, but when my lips are chapped and really need and over night and long lasting repair, I would still prefer my Maybelline Baby Lips. 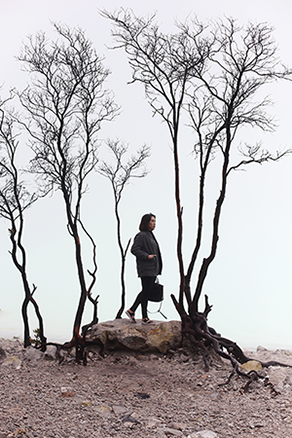 Retails for Rp 20.000,- , I think it's still affordable. Now move on to the soap! 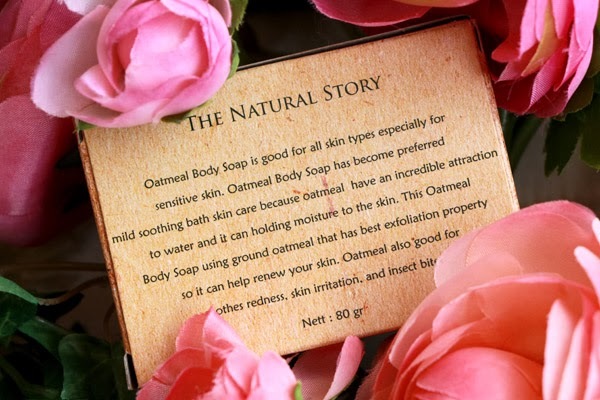 I never told them I have dry skin but they gave me this Oatmeal Body Soap which is perfect for my problem! It also can exfoliates my skin to make it smoother and softer. 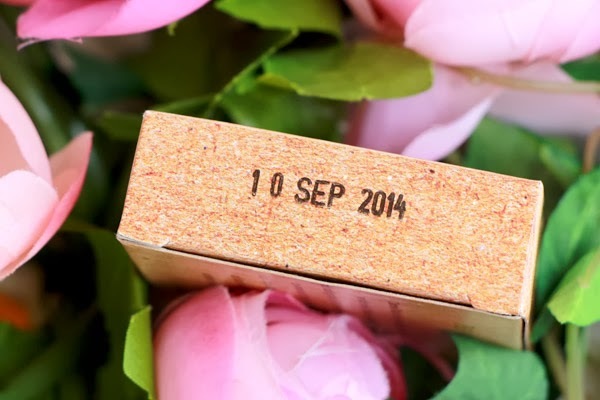 Expiry date, always and always a nice thing to have. 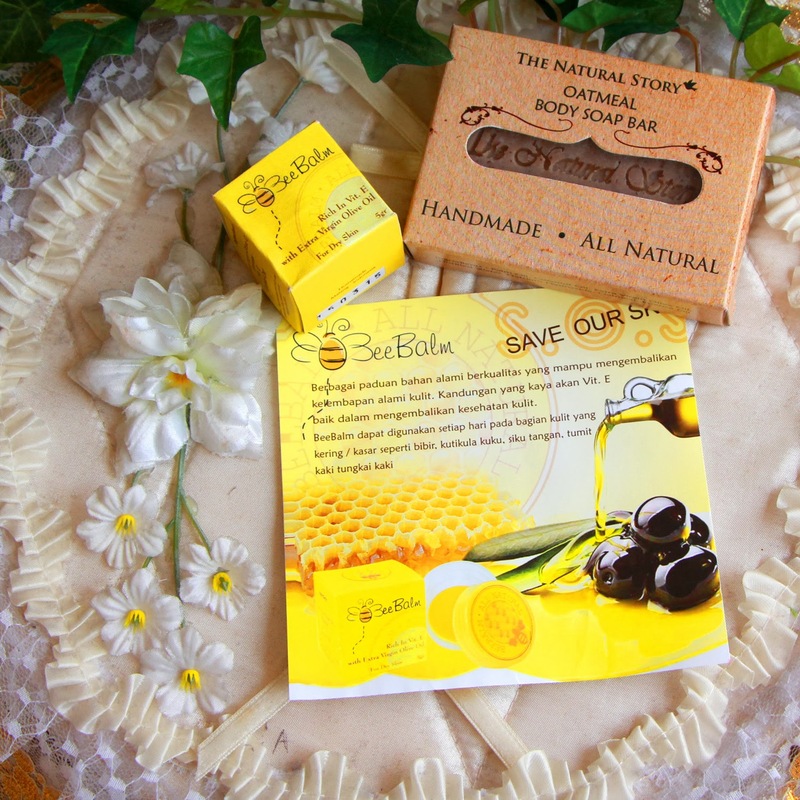 For soaps, the box is thicker and more sturdy than Bee Balm's box. It covered with plastic on the inside so the soap won't stuck on the paper. Looks very natural ya with the brown color and scrub like black tiny dots all over it. 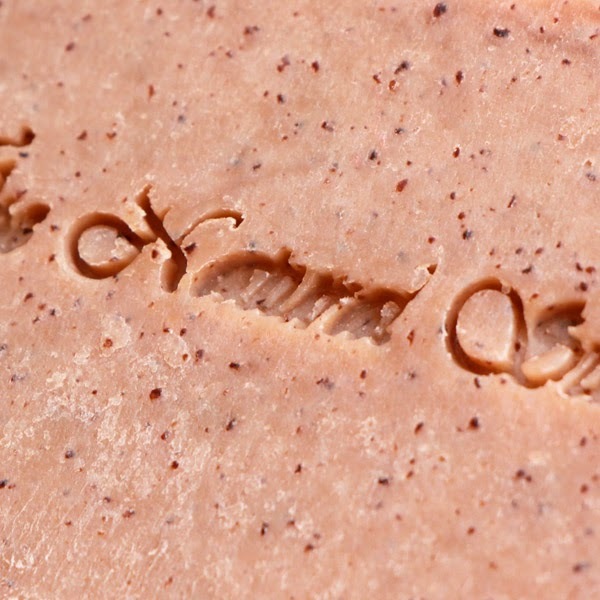 And it has the brand embossed on the soap. A very simple nice touch. I'm guessing it is the oat bits thats suppose to help me with the skin exfoliation. Weighed for 80 grams, it's a standart size for a soap. 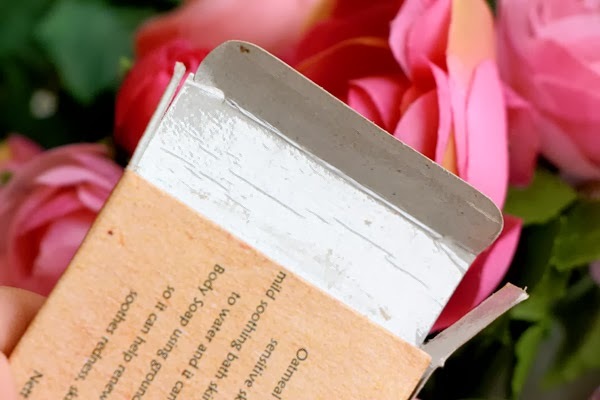 It's a kind of more tough texture of a soap, you know sometimes there are soap that's just melt very easily or become soggy and gewy (benyek maksudnya), this one doesn't. 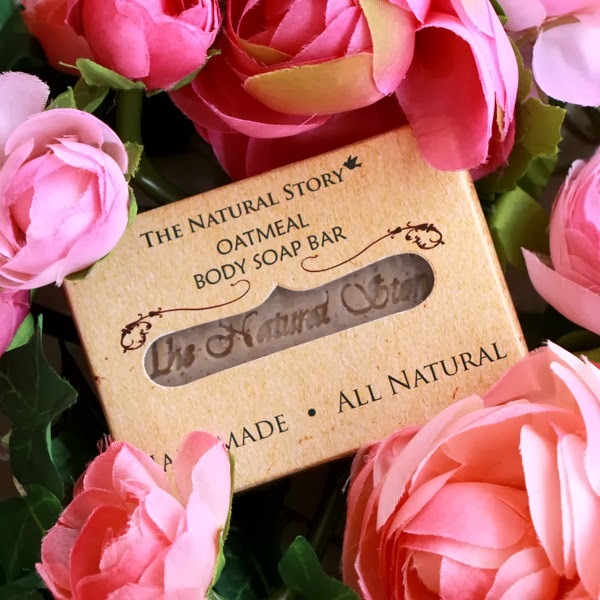 Although its quite a hard soap, but it lathers very nice and smells almost same with the Bee Balm, a sweet natural scent but a bit more subtle. Now this one I like so much! I have a very dry hands that I can actually see my skin is just flaking off everywhere. If you do your own dishes everyday without using a rubber glove, you know what I mean. Dish soap is very harsh and I'm almost like a hygiene freak for my hands, too. I really like to wash my hands everytime I have a reason to (not with dish soap, I use a regular body soap). It just makes my hands condition worst. 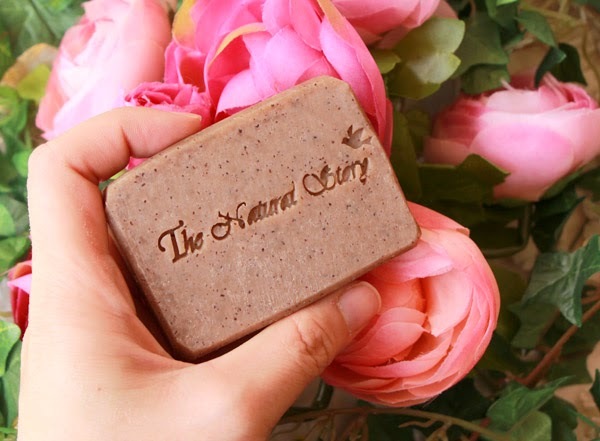 So I use this soap to wash my body and it helps moisten my skin and make it less smarting. Cause if you have dry skin, on the worst days, after shower might be a little competition with time to dry your skin and then slaughtering it with a hell lot of body lotion, just to skip the smarting session. So this soap really helps to buy me time after shower before putting on my lotion. After rinsing my skin would feel squeeky clean but soft. I'm now using it as my official hand wash soap so my hands could look better and moisturized even without using a hand cream. I really want to try all cause I just feel I need it! Hahahaha.. 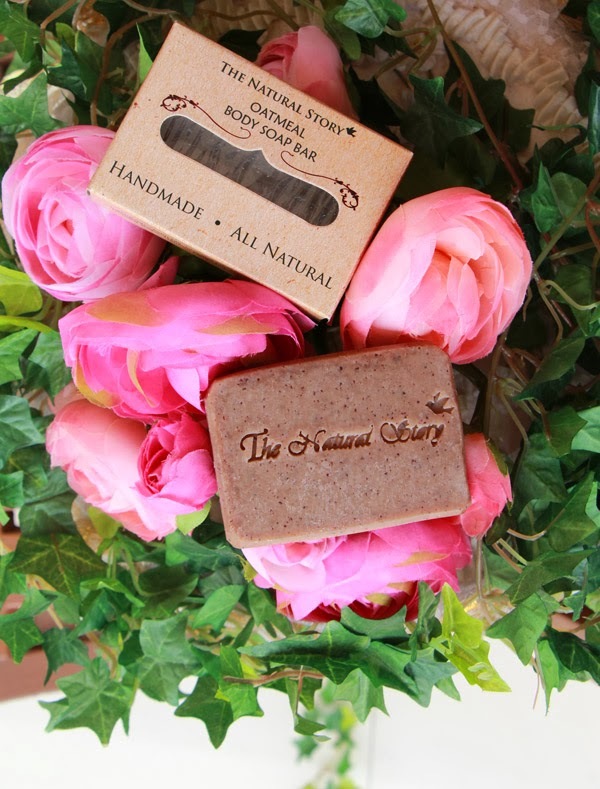 This soap retails for Rp 7.000,-/pcs, very affordable rightt?!? mau sabun korean red rice nya buat bacne. beneran efektif ga? 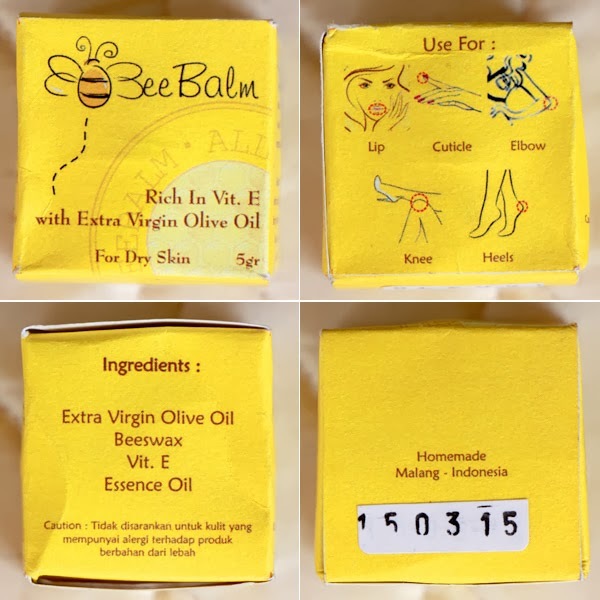 Nah iya begitu maksudnya,, gak enak kan kalo yg kaya gitu bikin males mau pake -_-"
Huaaa, aku suka bentuk yg bee balm... sayang gak gitu moisturize yakk..